Photographers247, best known for its Photographing Services, it facilitates users to get Quotes related to Photography requirements from the Photographers. Photographers247 began working with us during January 2014 – have released it First Version in English. It is a website which provides a secure platform for its users to get services from the Professional Photographers.Users can browse and view different registered Professionals over site and can request them Quote for their requirement. Photograpohers can send their Offers to the Customers which, in turn, allow users to Accept/Reject the Offer. 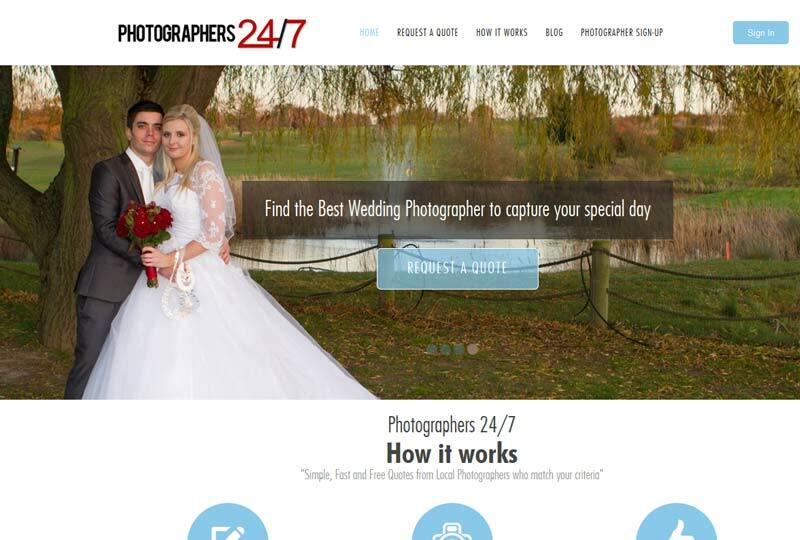 Photographers247 needed a proven, reliable partner to support an ongoing program for enhancements to this website, which we provided and released this web application. Photographers247 chosen us for its ability to develop complex websites and providing efficient solutions with logical approach to the requirements. The website has only single version that is running successfully from the date it was released. Chris (Our client) said: “Manish & the team were beyond exceptional in every aspect of the project! I couldn’t recommend them highly enough. Responses are fast and detailed. Our site is better than we had ever anticipated!” We continues to provide expertise and services in support of Photographers247’s ongoing program of website development.